Review – Book: Wow! I had forgotten how wonderful Anne Tenino is as a writer until this re-read/listen I did this year. In order to fully appreciate this, you have to go back to the free read – Whitetail Rock. There we are introduced to Jurgen, Sam and Nik and then the sequel, The Fix, for our first glimpse of Miller and Ian. Overall Impression of Book: 5 of 5 stars – It was amazing! 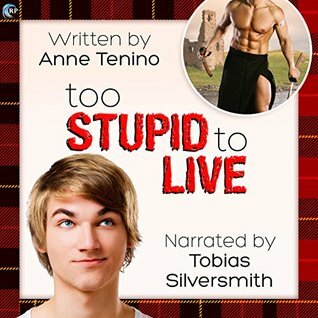 Review – Audio: Tobias Silversmith is a new narrator for me, and I didn’t quite love his performance. His dialog was delivered well and he had a great grasp of emotion. I liked that he attempted unique voices for the characters but his pacing on the non-dialog portion seemed hurried and flat. His voice is a little breathy and nasally so it wasn’t as pleasing as some of the other narrators in the genre. It’s still a good way to listen to this but it wasn’t my favorite. Overall Impression of Audio Book: 4.5 of 5 stars – I loved it!